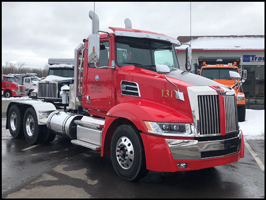 OWEGO, N.Y. – (July 26, 2018) – Adam Weitsman never thought he’d get into the trucking business, but if he was going to do it, he was going to do it right. That’s why his company, Upstate Shredding - Weitsman Recycling, now operates a fleet of 47 new Western Star 5700XEs and expects to have 63 of the trucks by the end of 2018. Upstate Shredding is the largest privately-owned scrap metal processing and recycling operation in the East. Headquartered in the Southern Tier region of New York, it has 17 scrap recycling and processing operations in New York and Pennsylvania. Scrap metal is trucked from the yards to two shredding locations, one in Pennsylvania and one in New York. Once the metal is processed, it’s trucked out again to domestic steel mills or to ports for shipping overseas. That’s a lot of deliveries that must be made on time. Upstate had been using local small trucking firms, but they proved unable to keep up with company demand, which was limiting growth. 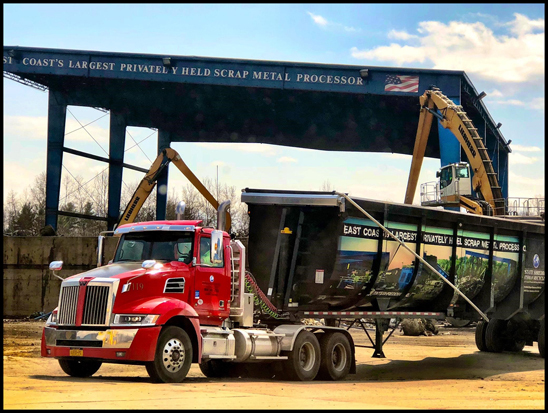 Upstate Shredding - Weitsman Recycling also bought a large number of dump trailers and leased them for $1 a year to owner-operators, but there were still gaps in service that needed to be filled. So, he started his own fleet. After experimenting with other trucks, he decided that the Western Star 5700XE was the ideal combination of efficiency, performance and ruggedness. 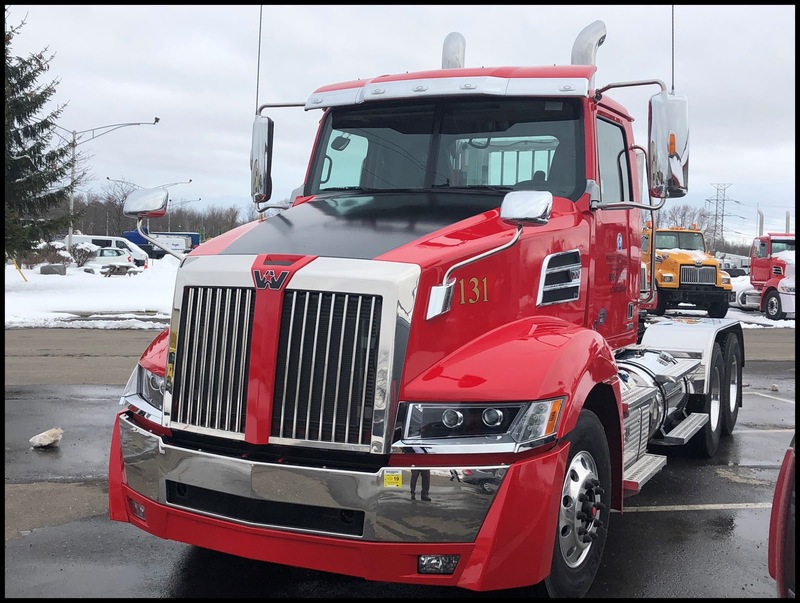 The 2018 and 2019 Western Star trucks are now running between the company’s 17 locations, hauling the company’s large round-body dump trailers. 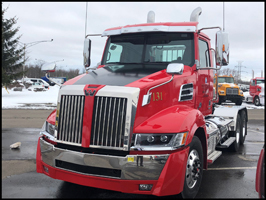 Upstate chose the 5700XEs in consultation with Tracey Road Equipment, a Western Star and construction equipment dealer with seven locations in New York State. The 5700XEs have Detroit™ DD16® engines with Eaton Fuller transmissions, 13,300-lb front axles and 46,000-lb rear axles. “We took the time to truly understand Upstate’s business and trucking needs, so we were able to outfit him with the ideal truck for the job, which turned out to be the 5700XE,” said Scott Collins, Vice President of Sales for Tracey Road. Weitsman also wanted the trucks to look good on the job because it reflects well on the company. The day cabs are fiery red with black hoods and premium interiors. A sharp, smooth-riding truck is key to attracting drivers in a tight labor market, he said. The 5700XEs have performed well and improved uptime, he said. “Our customer service has been better and, in the end, we’ve been more profitable because of it,” he said.